While Michael served as an intern in Chiba, Japan, God revealed to him the need for the gospel in this nation where many have never heard the message before. His heart for the Japanese led to a desire to do long-term ministry in Japan. In order to be better equipped, he returned to the U.S. where he earned master’s degrees in biblical studies and teaching English as a second language. 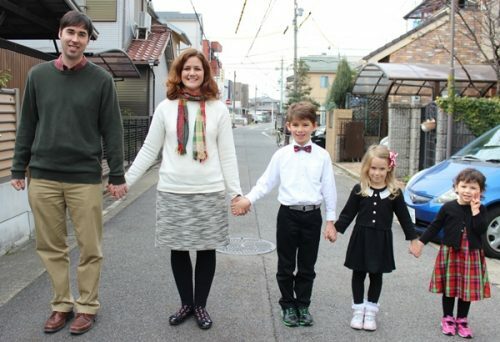 For over two years Cathalain’s family was stationed in Japan. 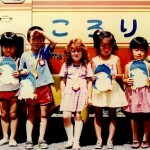 She was exposed to the Japanese culture by living off base and attending a Japanese school. Although Cathalain was young, this experience shaped her love for other cultures. After graduating from Florida Southern College she taught high school in Virginia. Michael and Cathalain met in Virginia, were married in May 2007 and had their son in May 2010. In 2011 the Carters returned to Japan together and began two years of intensively studying Japanese at The Yamasa Institute located in Okazaki, Japan. During language school their second child, a daughter was born. 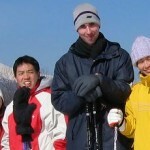 Upon completion of language school they moved to northern Nagoya to intern at Shiga Church. This internship providing invaluable experience as both Michael and Cathalain learned much about ministry in the Japanese context under Pastor Aoki. During the two year internship, the Shiga leadership also came alongside the Carter’s vision to church plant in downtown Nagoya by committing various financial, prayer, and leadership resources. Before heading back to America for a year of Home Ministry Assignment Cathalain gave birth to their third child, another daughter. In the Fall of 2015 Michael was ordained in the Blue Ridge Presbytery. The Carters returned to Japan in March 2016 after a year on Home Ministry Assignment in the United States. They are currently assisting at Shiga Church part time and in the beginning stages of a new daughter church plant in downtown Nagoya, Japan.